“I am delighted to welcome Bett Asia to Hanoi. 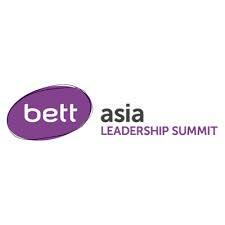 Bett Asia is a great forum for bringing education experts and policy makers together to showcase the latest Edtech innovations, and discuss how they can transform teaching and learning. The UK has a dynamic, world-class Edtech sector, with Edtech increasingly integrated into our education system. We look forward to working with local partners to bring the latest technology to Vietnam’s classrooms.” – Mr Giles Lever, British Ambassador to Vietnam. “We are truly delighted to welcome Bett Asia to Malaysia and to share the journey we are embarking on with the Malaysian Education Blueprint to develop entrepreneurial and holistically balanced graduates. “In sharing our own experiences, and hearing those of other nations gathered at this significant edtech event, we can only strengthen the initiatives and actions we take to achieve our goal.” – Y.B. Dato’ Seri Mahdzir Bin Khalid, Minister of Education – Malaysia.